A collection of Canadian paintings were stolen from a Toronto art dealer on Sunday night, including works from the Group of Seven. Police were called to the Canadian Fine Arts store at 577 Mount Pleasant Rd. early Monday morning following a report of a break-in. A total of 11 paintings were stolen, including works by Group of Seven artists Frederick J. Varley, J.E.H. MacDonald and A.Y. Jackson, with a value of more than $387,800. Gatineau Hills, by Frederick J. Varley, $15,000. Gull River, by J.E.H. MacDonald, $45,000. First Snow, Georgian Bay, by Frank H. Johnston, $5,800. Les Eboulements, by A.Y. Jackson, $135,000. Jeune Fille Triste, by Jean Paul Lemieux, $95,000. 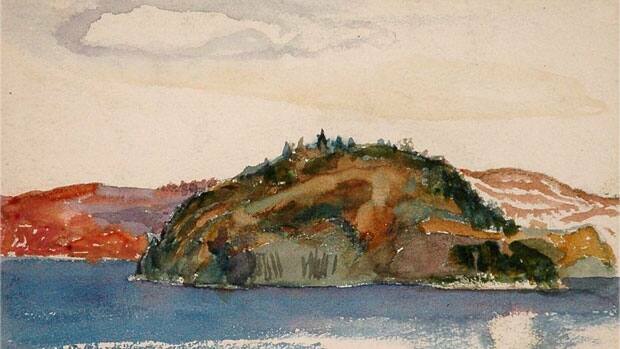 Formed in 1920, the Group of Seven artists captured the rugged beauty of the country's landscapes.